Bringing a new level of elegance and sophistication to Nautical themed decor, NAUTILUS is a truly beautiful three color yarn-dyed jacquard. The swirling of one seashell into the other, provides a beautiful movement to the ensemble. Available in the color Pearl. 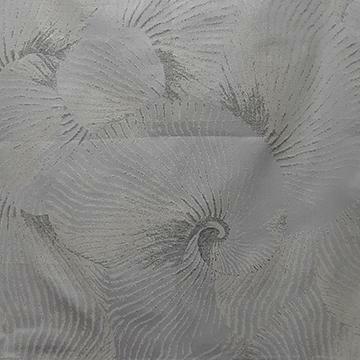 Prices listed are for duvet cover and shams, for additional pieces, please contact Aiko Luxury Linens at (800) 972-2456. Return to SDH Fine Linens .